A large group gathered in the autumn sunshine at Bourne Wood for a fungal foray led by Dr Vin Fleming. The long, dry summer seemed to have reduced the number and variety of mushrooms and toadstools in the wood. Despite this, an enthusiastic group of around 35 adults and children still managed to gather a reasonable number of different species. An enthusiastic group of around 35 adults and children still managed to gather a reasonable number of different species. 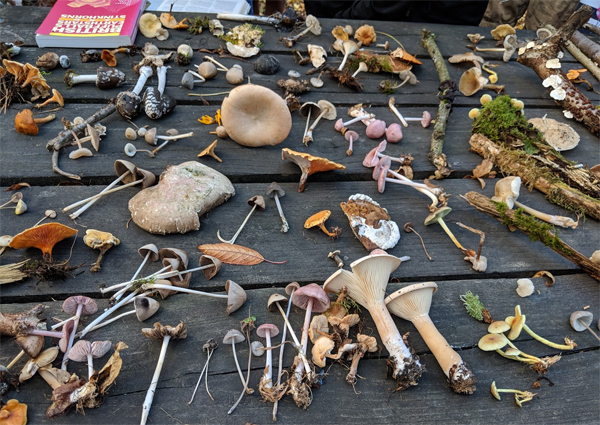 Vin pointed out that in Great Britain, there are some 12,000 fungi species, which means that even experts are unable to identify every species that might be encountered on a foray. What was striking was the range of sizes, shapes and colours of the fungi collected. Vin also showed us the very strange striate earth stars growing around the base of a conifer. Several bracket fungi growing on tree trunks, stumps and fallen branches included the birch polypore, the blushing bracket, the latter so-called as it blushes wine red when the surface is rubbed or damaged and the very common turkey tail fungus. Probably the largest toadstool collected was the pale-coloured trooping funnel while much smaller in stature was the yellow stagshorn fungus with its golden yellow finger-like branches. A number of specimens of the attractive lilac bonnet fungus were also found. 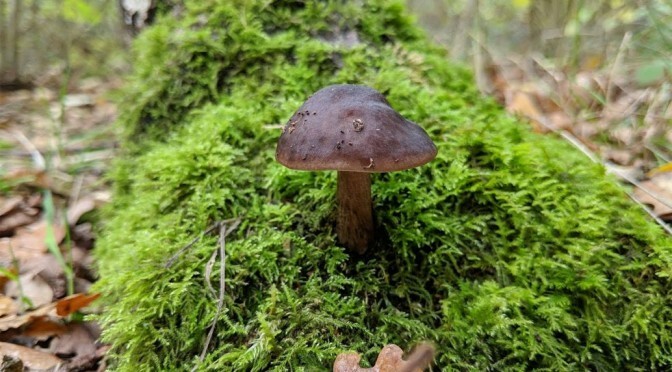 This widespread species of deciduous woodland is mildly toxic and is one of several fungi that are phosphorescent – that is it glows in the dark! Another attractive mushroom with a pale-yellow cap turned out to be a false death cap (Amanita citrina). Unlike its close relative, the deadly poisonous death cap (Amanita phalloiides), this species is not seriously toxic! 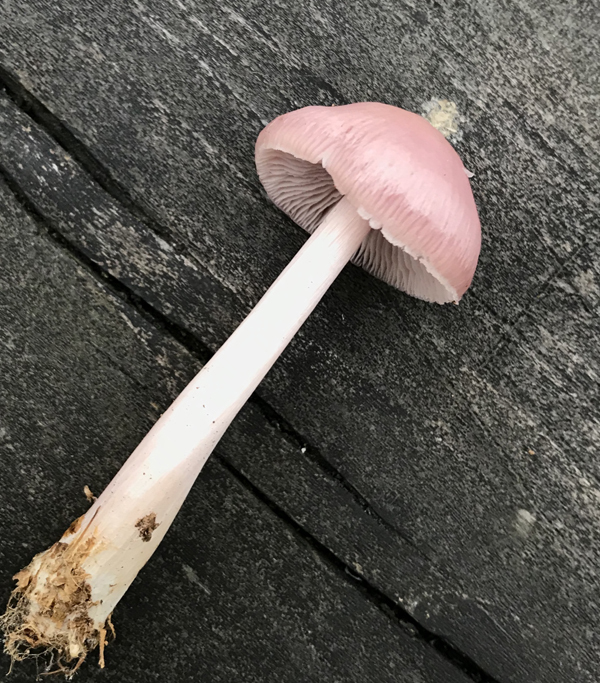 The Lilac Bonnet mushroom – poisonous! A delightful find was the rather uncommon magpie inkcap so-called because as the gills of the cap age, they deliquesce forming a black inky liquid. Arguably one of the more bizarre fungi encountered were the coal-like Kind Alfred’s cakes (Daldinia concentrica) living on dead wood and which is inedible. The story behind the name of this species is recounted in the article here. All in all an interesting, informative and enjoyable few hours. Thanks are due to Vin for his time and expertise.